Are you planning your honeymoon with your mate, but your budget is limited? Some destinations may be more affordable than you think. We offer you 5 ideas for a honeymoon adventurous and romantic without spending much money. A fascinating destination, rich in history, and with an excellent value for money. 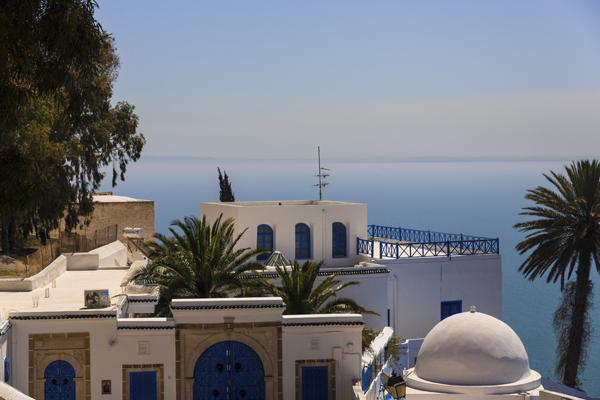 You can choose from the sandy beaches of Tunisia, or the charm of Egypt. In the latter case we recommend Marsa Alam, location not yet overrun by mass tourism than the more famous Sharm. For those who get married by September on staying in the resort you can be combined with an unforgettable cruise on the Nile. They come in various types, durations and prices; contacting a good travel agency will find the perfect package that falls within your budget. Fascinating and charming, it combines crystal waters to a coastal landscape very romantic, made of ancient castles and small towns. Prices of flights and accommodation are really reasonable. 3. The archipelago of Cape Verde. Here, even those who married in the summer, will find the fresh ocean wind to restore it! It is a place even in the pristine, with landscapes that mix the nearby exotic Africa with references. For a romantic honeymoon without spending a fortune, it is the ideal destination. 4. Mexico. Here mode All Inclusive guarantees but a luxury service at competitive prices, 5-star resort on the breathtaking beaches and the opportunity to combine beach holiday with various cultural itineraries to the discovery of the Mayan civilization. 5. New York? The Big Apple offers everything: entertainment, romance, culture, shopping, all at affordable prices, now considering the many offers of flight and the amount of accommodation available. If you want something more daring plan a small tour of the East Coast cities, Boston, Philadelphia, Washington, and maybe a stop at the spectacular Niagara Falls.